Are you looking to improve the look of your Morris Minor interior? Browse our selection of interior parts and accessories including visors, knobs, floor mats, headliners, handles and more. 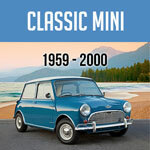 To help, we also offer this handy Morris Minor Restoration Manual. Featuring step-by-step instructions and complete photography that will guide both experts and beginners alike through the restoration process. 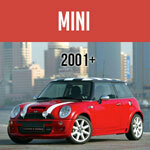 Includes a history of the car, buyer's guide, and full vehicle specifications. Hardbound, 8 1/2 x 11, 255 pages, 848 photos. See a selection of our Morris Minor interior parts below or click on one of the following links to narrow your search.